Cisco TelePresence offers an easy, dynamic way for dispersed teams to connect - visually, collaboratively, and effectively - leveraging the Power of In-Person. It's no longer just for the boardroom and executive offices. With Cisco TelePresence solutions on desktops, mobile devices, and team rooms, it's easy for teams to collaborate and solve problems on the fly. The Power of In-Person can help you to transform your business processes, from customer service to supply chain management and training. Cisco offers the right telepresence system for every individual and team, from immersive dedicated rooms, to flexible multipurpose rooms, to personal and executive desktop systems, to a mobile solution for the road warrior. This broad portfolio is flexible to meet the needs of the largest enterprises as well as small and medium businesses either looking to expand their telepresence adoption or exploring how to get started. 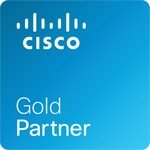 As part of Cisco Collaboration, Cisco TelePresence spans a complete endpoint, infrastructure, and cloud solution portfolio with standards based, any-to-any interoperability. Features for broad and easy adoption - such as one-button-to-push calling and ActivePresence - make the experience easy and natural, while an innovative architecture and flexible deployment options makes large-scale and efficient deployments possible.